The Happy Mongoose Company Ltd.
Child's Play is an app that is literally bursting at the seams with fun games for the under fives. 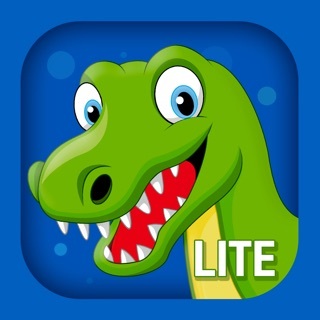 They will delight in tapping the screen to join in with the simple and colorful games, whether they be popping bubbles, tapping open a piñata, or launching beautiful fireworks above a storybook village at night. There is no reading required, and young children will love being able to join in without any help from mum or dad. There's no violence, no failure and no tears - just fun games that pre-schoolers can pick up and play. * Brilliant. My toddler loved it. Kept her busy for hours! * Fantastic little app. My 18 month old loves it. What more could you want for a couple of quid - ideal !! * SO cute!!! The bubble game is too adorable! My 2 yr old, who is not amused by ANYTHING is entertained for...at least 5 minutes! :) Love it; will eventually purchase. * My kids love it. Nice colourful graphics, easy pace for very young children. * Fireworks - launch fireworks up into the night sky and watch them explode into a shower of color. * Bubbles - pop shimmering bubbles as they float across the screen. * Frogs - make the frogs jump up to catch the fly buzzing across the top of the screen. * Piñata - tap the piñata until it breaks, then catch the candy as quickly as you can. * Trampolining - make the athlete bounce up and down on the trampoline and perform tricks. * Animal match - match the animal to the correct shadow. * Splat - make splat shapes appear on screen to squelching sound effects, and then watch them drip down the screen. * Star catcher - guide the spaceship to collect the happy stars, but avoid the asteroids! * Sunshine - chase away the rain clouds to reveal the sun and make a beautiful rainbow appear. * Beat blocks - light up your iPhone with shapes, sounds and colors. * Tap chase - tap the moving target as quickly as you can to create a shower of stars. * Happy birthday - blow out the candles on the birthday cake and enjoy the celebrations. 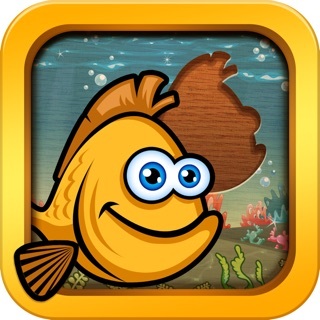 * Fish - make the fish swim across the beautiful coral reef. * Flower - grow your own colorful flowers against a grassy hillside. * Peekaboo - play peekaboo with the worms as they jump up and down in the farmer's field. * Spaceship - count down from 5 to launch a spaceship and watch it soar across the night sky. * Flipboard - trace your finger across the screen to make colorful shapes and swirls. Child's Play has been road tested by the most demanding clientele on the planet: the under fives. Note: Child's Play is intended as a diversion for young children, not for extended play. This isn’t right. I downloaded this app 2 years ago an took it off my iPad for a little while. I reinstalled it an now you wanna charge me for all the games!!! My grandchildren are very upset as they liked playing with this app. How can you have a free game then later start charging to play all the games. Very disappointed!!! Think I’ll look for something else. Fun, mellow tapping games for small kids. Plenty of variety, nice music and a bit of counting thrown in for good measure!